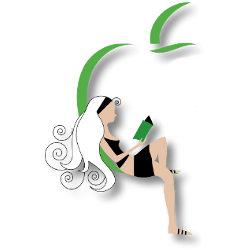 Reading, writing, blogging, & design junkie. Cherry’s life has always been simple, but for the most part, she’s been happy running the diner her grandparents left her and carving out a niche for herself among her lifelong neighbors in Broken Falls. But everything changes overnight when her cousin is killed in an accident, leaving Cherry to care for her young nephew just as her diner is badly damaged by a grease fire. When Cherry’s ability to take care of the boy is called into question, the man who once broke her heart steps up to help, putting Cherry in a precarious situation. She stands to lose her heart all over again when he leaves… or when he finds out the truth she’s been hiding all these years. But... There was one point toward the end that didn’t make a lot of sense to me. Cherry’s cousin Reed pulls a pretty awful move that clearly falls into assault and kidnapping territory. He’s not some psycho who meant for it to be that way; he’s just an entitled bully who thinks he can intimidate people into doing things his way. But the law is the law. Yet, neither Cherry nor Sam even mentally voiced that fact, much less played that card with Reed. It’s not that I expected them to figuratively hit him back that hard, but being that Sam’s an officer of the law, I would have expected him to at least bring it up, even if just to say he and Cherry weren’t going to press charges. It didn’t ruin the book at all, but it was just a bit odd the way it was disregarded without any real explanation. Judging Covers: I am loving these covers. It was the cover to Tucked Away that had me wanting to read the first book, and this one is no different. And aside from it just making the book attractive to readers like me, it’s clear the designer/publisher/random person involved is sticking with a theme. And I have to say, that’s important. Being constantly bombarded with reading options like I am, it’s easy for me to overlook something good. So I love it when a series sticks with a general design, making sure I notice it looks a lot like another book I loved and cluing me into the next book in the series being out. I’m sure I would have found this one eventually, given that I’m basically turning into a Jennie Marts fangirl, but it was the cover that jumped out at me when I was browsing, and you can bet I didn’t want to miss this story.. The Verdict: We first met Cherry in the Tucked Away, but we didn’t get more than a brief introduction to her before that book ended, so it was interesting to see the less two-dimensional side of her in Hidden Away. But while there are probably thousands of romances out there with plots predicated on a man finding out he fathered a child with a woman he left years ago, Jennie Marts throws in a twist that makes this one altogether different. Cherry just might be having the worst day ever. A grease fire in her diner puts her temporarily out of business, injures her arm, and brings her face to face again with the boy — now a man — who broke her heart nine years ago. But that’s nothing compared to the phone call she gets telling her that her cousin was killed in a car accident, and Cherry’s been named as her nephew’s guardian. A few miles into racing to the hospital, her car breaks down, and Cherry finds herself riding shotgun with the same man she’s been trying to avoid since he came back to town. As if that’s not enough, though, the family that has gathered at the hospital is convinced that Cherry’s not fit to raise Sam and does their very best to intimidate her into giving up custody. And that’s when things get really interesting. As it turns out, Sam isn’t just Cherry’s nephew. He’s the son she gave up for adoption shortly after Taylor left town nine years ago, so her determination to keep him now is rooted in more than simply loyalty to her cousin. Taylor, however, hasn’t got a clue, though he steps up to help Cherry fend off her awful extended family, and he knows he feels an immediate connection to the boy. But while Cherry’s relationship with Taylor heats up rather quickly, her heart is held back by several things. For one, they’re only really together for appearances, to ward off her cousin Reed, his wife Olivia, and their Aunt Bea, all of whom believe Sam would be better off with them. Whatever feelings Cherry may have for Taylor, she knows their being together is only temporary, and she’s afraid to let herself completely fall again. There’s also the matter of his leaving in the first place. She simply doesn’t trust him to stick around this time, so she’s holding her heart back as best she can. And then, of course, there’s the matter of Sam. As much as she wants to tell Taylor the truth, she’s understandably worried about the consequences. 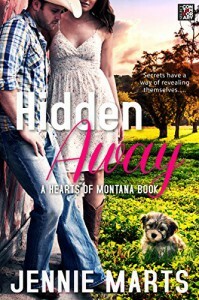 I think what makes Hidden Away stand out, aside from the great writing, is simply that Jennie Marts doesn’t play into the cliches that tend to plague romance. The most basic part of the plot might be standard, but nothing about what she does with it is. Cherry and Taylor’s breakup when they were teens was a matter of juvenile stupidity and general immaturity, and now that they’re back in the same vicinity, there’s no perfectly manicured she-devil trying to catch Taylor’s eye, no slightly psychotic but boring ex trying to win Cherry back, no one threatening to spill some dark secret that will ruin everything. It’s just life the way it could play out in reality, with a little believable drama and a big heap of happily ever after just over the horizon. It’s rare to find a contemporary romance that simply sticks to the story without throwing in all kinds of unnecessary crazy, so when I come across a series like this one, I’m following it to the very end.